We took a small walk around the New Market and Hong Kong market area of Dimapur. The market area is just like any other small city. 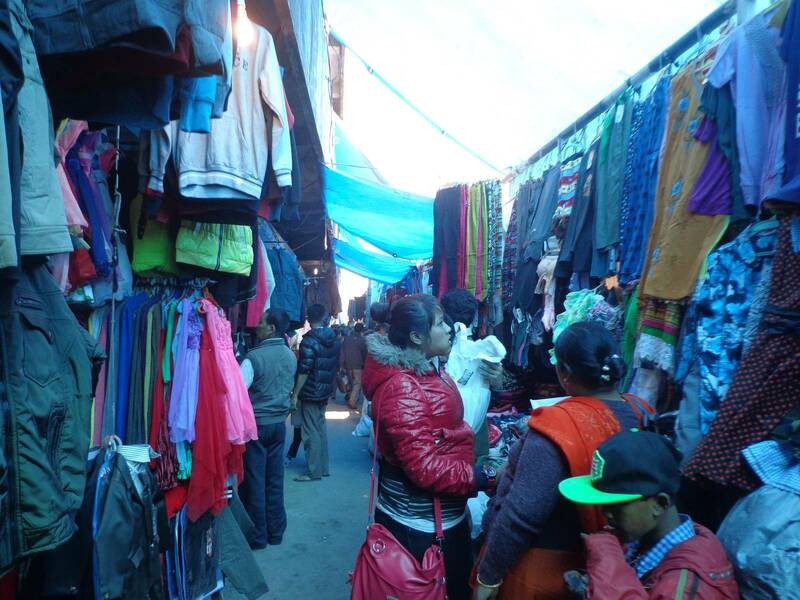 The shops give away the fact the Dimapur residents have good purchasing power as compared to their neighbours. There are roadside, nondescript shops, too that sell more affordable stuff. A busy and narrow alley at Hong Kong market, Dimapur. 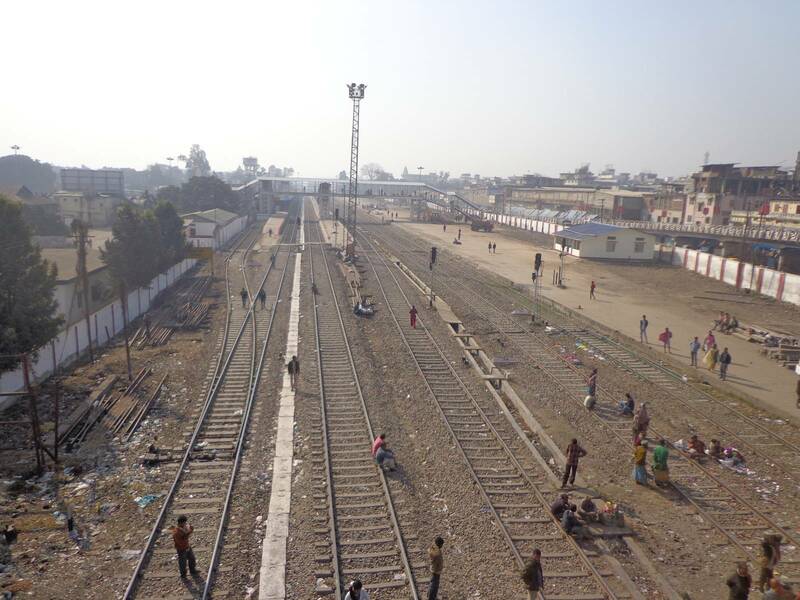 Dimapur railway station from flyover. 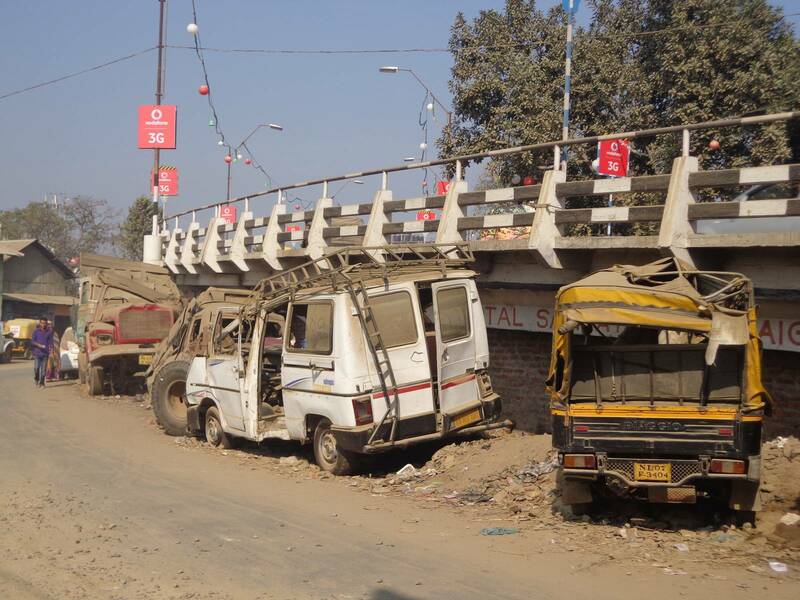 Four Wheeler Graveyard below Dimapur flyover. Maruti has penetrated well into the North-East. Even though upmarket residents use expensive SUVs, the taxis and the common folks prefer to use Maruti Alto. Maruti Altos registered with Kohima taxi union at Dimapur. We couldn’t get a seat in the bus (they were booked). 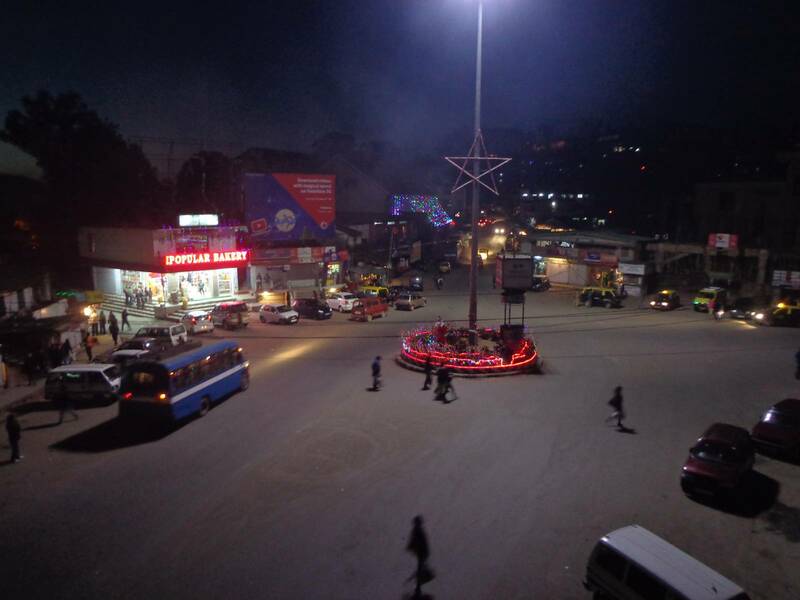 Instead, a shared Alto belonging to Kohima taxi union took only 220 rupees to drive us and three other passengers from Dimapur Railway station to Kohima bus stand. Dimapur has a relatively high density of vehicles. 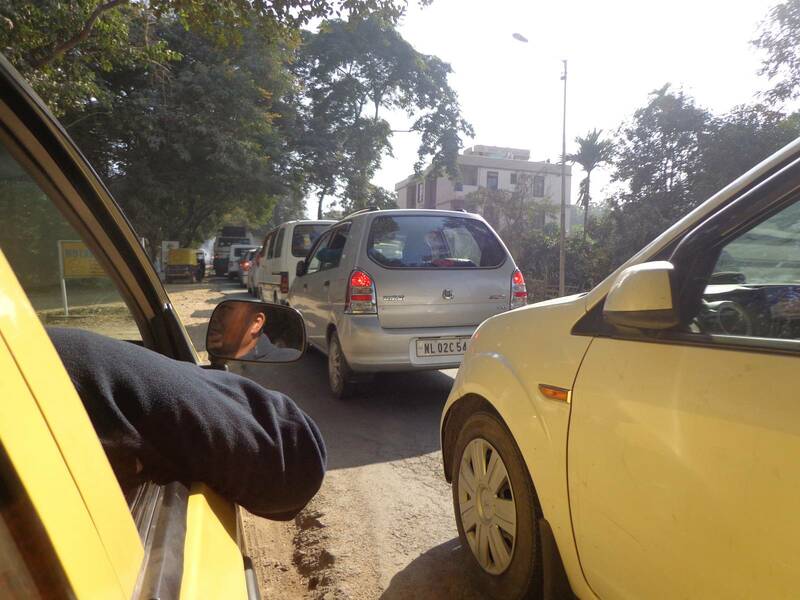 There were stretches where we encountered bumper to bumper jams while exiting Dimapur. Our taxi driver was skilled enough to jump lanes and squeeze through just like an Auto driver in Bangalore. 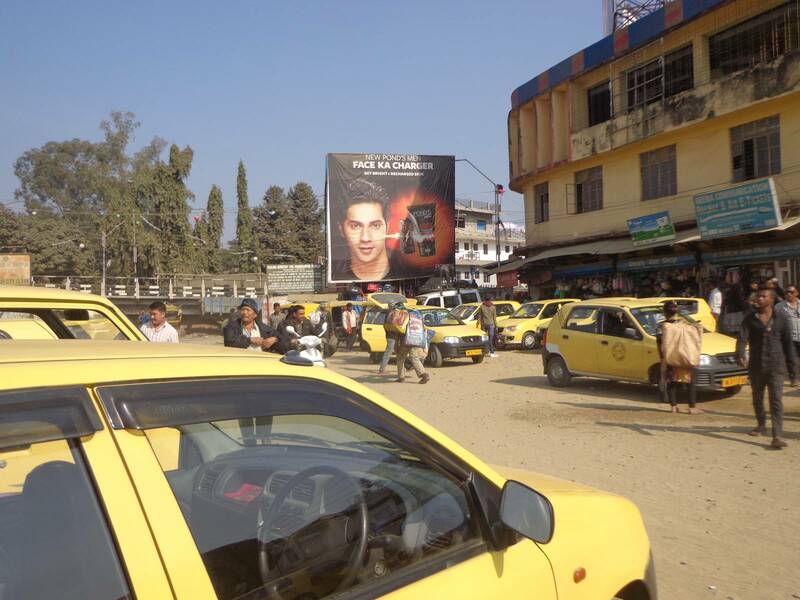 A bumper to bumper jab in Dimapur. Our taxi driver had already pulled the cab into the dirt pavement. In the taxi, I met a drummer, Avizo Solo, who played in a Guwahati band called Aspirant. They were influenced by bands like 30 Seconds to Mars and were working on their first studio record. If there is one thing that ruined our trip multiple times, it is the pathetic state of Vodafone and Airtel 3G. Having a workable net connectivity is absolutely essential if one wants to backpack. When you make your plans on the fly, a lot of information can be obtained from blogs, travel apps and forums. Not to mention, the frequent peek at maps to locate oneself and chart out the directions is invaluable. So far, we got the best 3G at Guwahati. Beyond that, 3G signal was shaky and inconsistent. 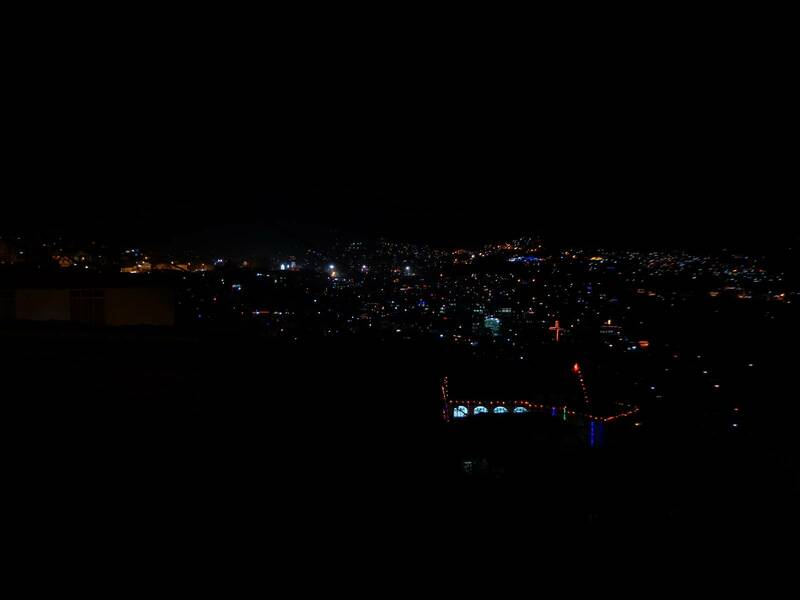 There were pockets in cities like Shillong, Dimapur and Kohima where we got good connection at certain times. At other times and places, it was a nightmare. In places like Nongriat, even cell reception was absent. 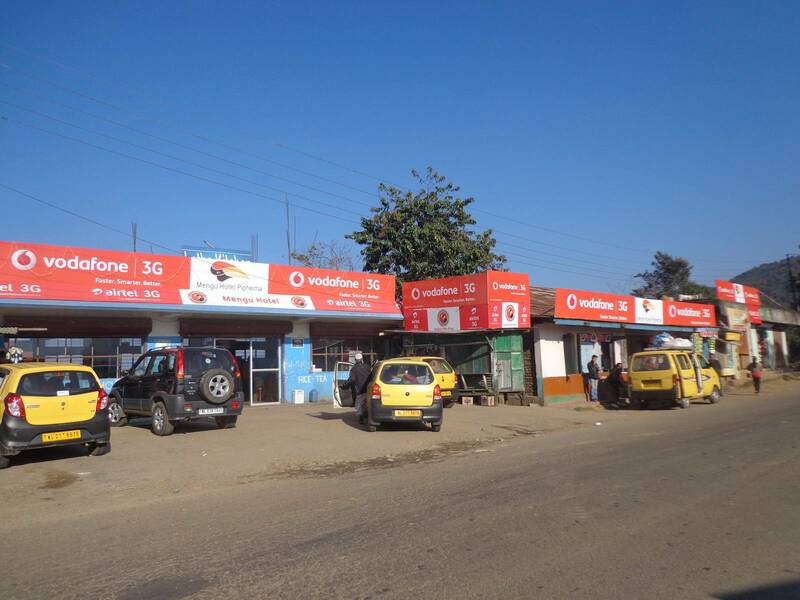 This place (somewhere between Dimapur and Kohima) has Vodafone 3G ads plastered all across. Ironically, there was no internet. If one wishes to travel through India, I must suggest a BSNL connection. Their towers are omnipresent. We arrived at Kohima at around 3:30 pm. The Sun was already setting. 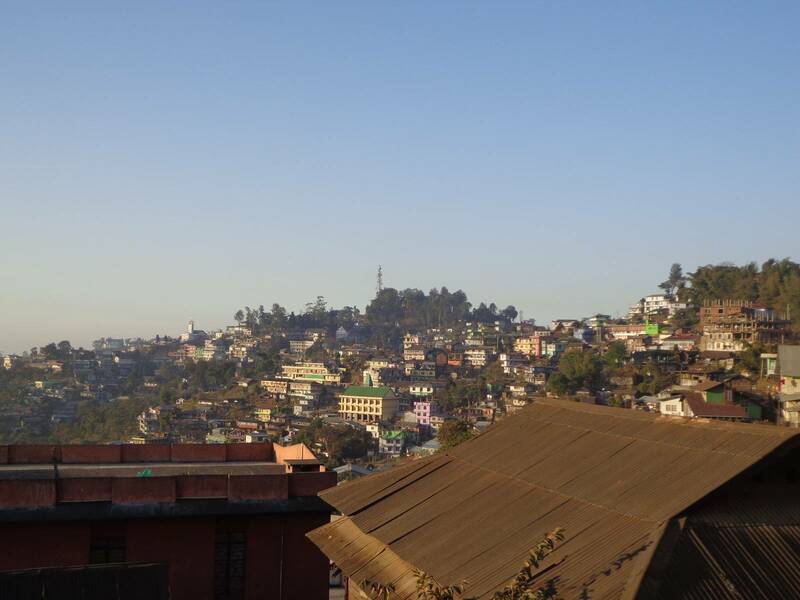 The falling rays made for a picturesque view of Kohima town. I have a cheap point and shoot. 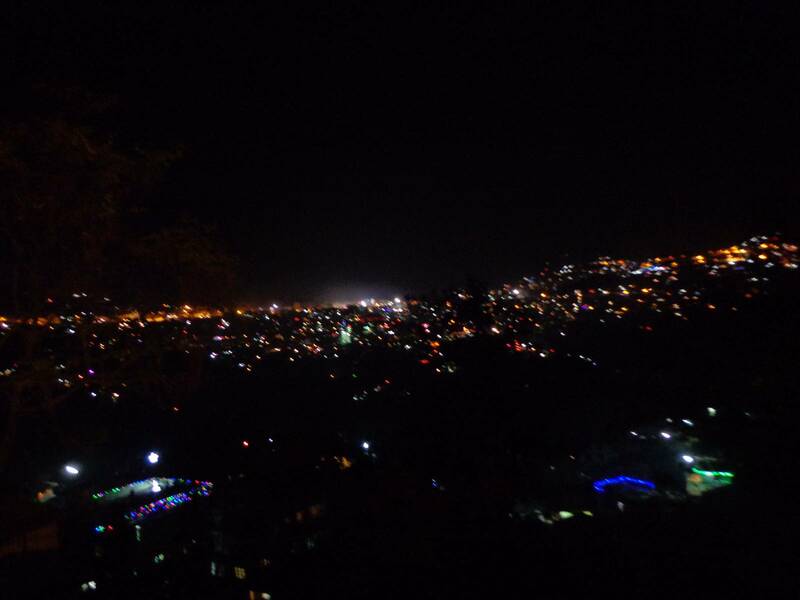 This shot of Kohima from a moving vehicle doesn’t do justice. Our hotel receptionist mentioned that shops at Kohima shuts down at 5:00 pm. We were hungry and did not have much as our lunch. 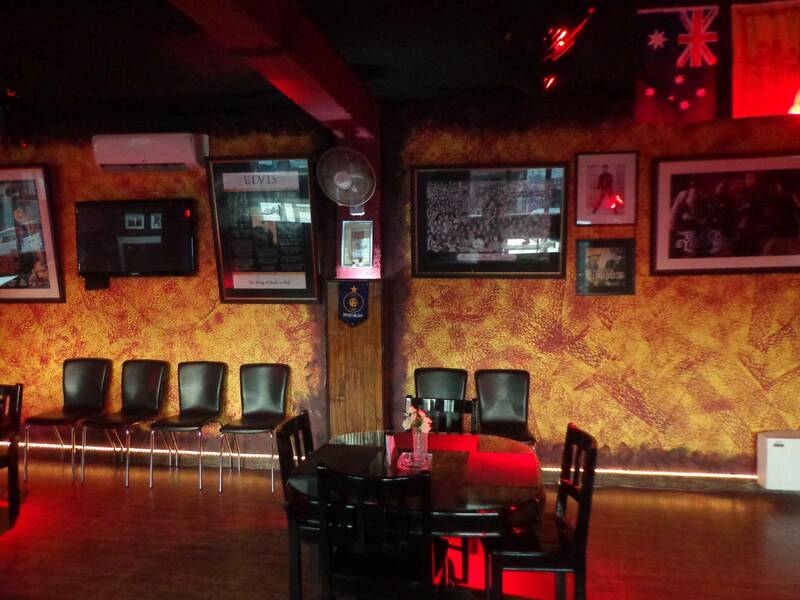 I looked up on TripAdvisor and found that there is a restaurant called Rattle & Hum Lounge near High School Junction in Kohima. We had some momos, fried rice and pork with bamboo shoot. Allow me to make a bold statement. I have not tasted a better pork dish. 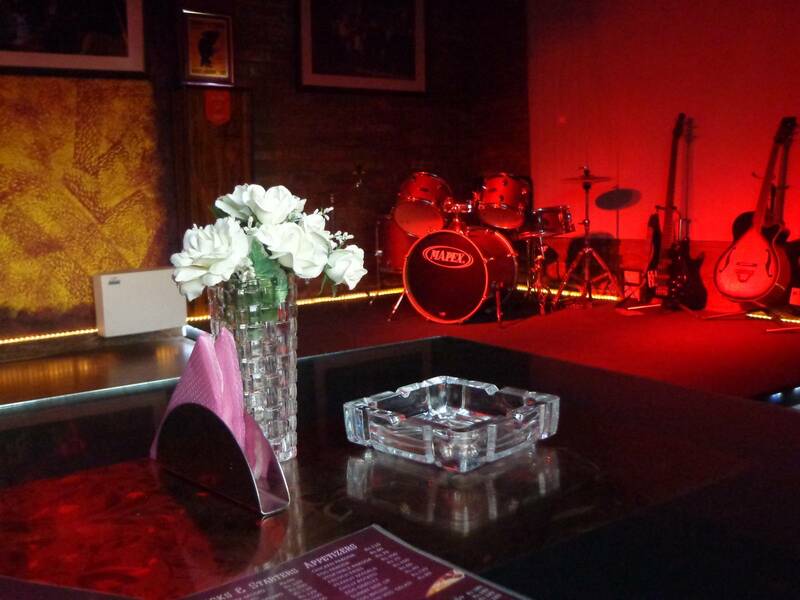 Rattle & Hum Lounge has occasional band performances. 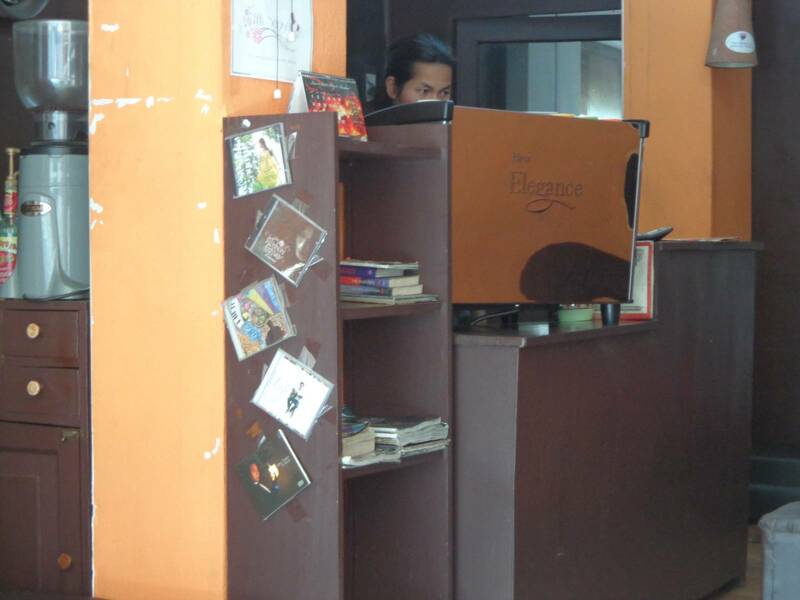 The walls are decorated with posters of musicians. We finished our dinner at around 5:00 pm. By the time we were out of the restaurant, it was very dark. This image was taken at 5:11 pm at High School Junction. It felt like 7:00 pm of Bangalore. India should seriously consider two time zones. 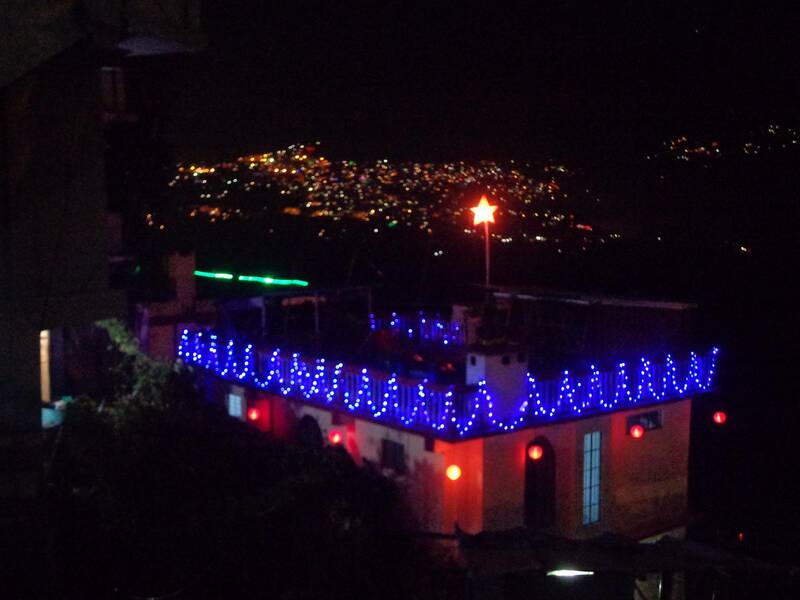 Kohima had that Christmas vibe in the air. The entire landscape looked like a backlit canopy with holes punched in (ref: Wish You Were Here by Incubus). The following images don’t do much justice. One has to see with ones own eyes. Boarder Roads Organisation writes really witty quotes on their signs. Here are a few mouth fresheners. You only live once. If you do it right, once is good enough. Faith can move mountains. But don’t be alarmed if God hands you a shovel.